Now there have been 4K Blu-ray discs on the market for people to get much higher resolution image of movies. Many people are wandering how to play 4K Blu-ray disc, since there exist some differences between 4K Blu-ray disc and general Blu-ray disc. Some people may even ask whether or not can Blu-ray players play 4K or Blu-ray player with 4K upscaling. With the HD, UHD technology extends to TV sets, computer, People can enjoy high definition and even Utra high definition movies at home without going to cinema. And with the 4K Blu-Ray disc movies launch at the end of this 2015, you will be able to watch more fantastic 4K movies at home. No longer have a Blu-Ray player hardware? No worry if you have a computer supporting 4K playback, as you can play Blu-Ray on Windows PC or Mac computer with the help of 4K Blu Ray Player software. UFUSoft 4K Blu-ray Player is a powerful player, combines Blu-ray Player, 4K Video Player, HD Video Player into only one. It could play 4k/1080p Blu-ray disc, Blu-ray folder, Blu-ray ISO file and 4K videos, common media files and videos smoothly. 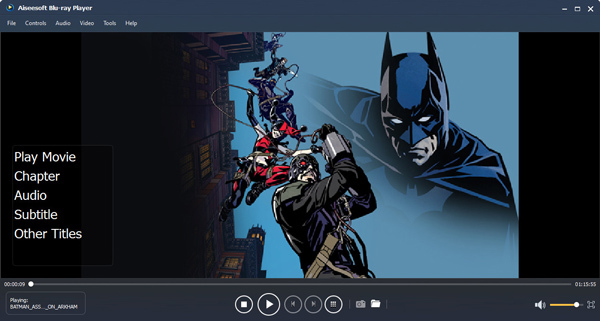 You are able to play any Blu-ray disc/ISO files directly with 4k/1080p HD visual effect and play H.265/HEVC encoding 4K video files losslessly on PC. What’s more, this UFUSoft Blu-ray Player also acts as a common media player for any 4K/HD/SD video files like 4K MXF, 4K MOV, 4K MP4, 4K MKV, 4K AVI, 4K MTS, H.265/HEVC, XAVC, XAVC S, MP4, H.264/MP4 AVC, MPG, M4V, TS, MTS, M2TS, MXF, RM, RMVB, WMV, ASF, MKV, AVI, 3GP, F4V, FLV and VOB and you are able to enjoy the immersive audio effect. This Blu-ray Player works on Windows 10, Windows 8.1/8/7/Vista/XP pc. How to Play 4K Blu Ray Disc Movies on Windows/Mac? Step 1: Download 4K Blu Ray Player. Install and launch it. 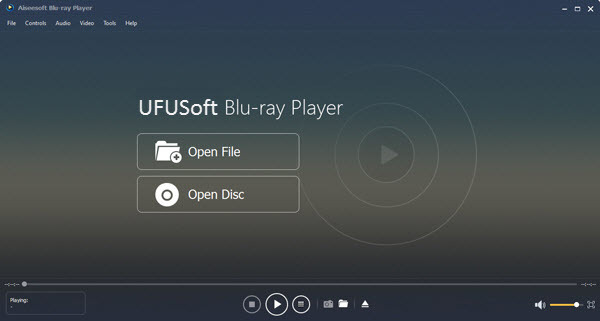 Download 4K Blu Ray Player – UFUSoft Blu-Ray Player (Windows Version, Mac Version), and run it. The 4K Blu Ray Player supports loading video from Blu-Ray disc, Blu-Ray folder or IFO file. Click “Open Disc” or “Open File” button to load your Blu-Ray movies. Best BDMV Player for PC – How to Play BDMV Folder on PC?